Stop! Resist the temptation to get the children a baby chick as part of your Easter/Spring celebration. Tagging along with those irresistible baby chicks many families “adopt” during Easter season, is a nanobug that you surely didn’t want to bring into your home: Salmonella enteritidis. The resulting infection, salmonellosis, is a serious illness that can be transmitted to people through contact with chicks and other baby poultry purchased as pets. For decades, baby poultry, particularly chicks and ducklings, have been known to be a source of salmonellosis. Recently the source of birds associated with salmonellosis outbreaks have been traced back to hatcheries. Investigations of these outbreaks show that many persons who purchase baby poultry remain unaware that handling these birds puts persons at risk for salmonellosis, especially children. 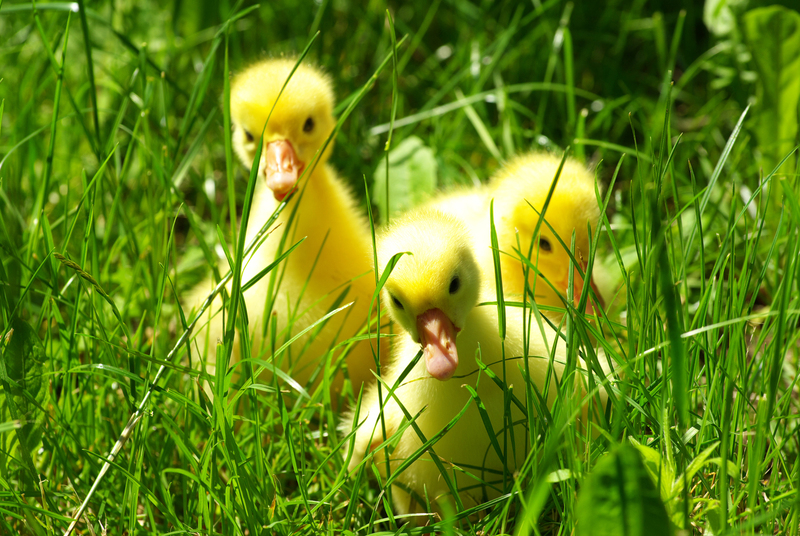 During springtime and the Easter season it is important to remember that children are more susceptible to infection from baby chicks and young ducklings because they are more likely than others to put their fingers into their mouths after handling the soft cute little birds. The CDC emphasizes that the immune system of a child (especially those under 5 years of age) is still developing, and may not be ready to protect the child from the Salmonella they are exposed to by these pets. Adults and children should be educated on how to avoid contact with bird feces and should wash their hands with soap and warm water after handling baby poultry or anything that has been in contact with them. Additionally, children younger than five years of age should not be allowed to handle baby chicks or other baby birds. In past years, state health departments across the country have identified outbreaks of Salmonella infection in persons who had been in contact with baby poultry (especially chicks, du cklings, goslings) purchased at agricultural feed stores. The feed stores received the poultry from hatcheries. Note: This issue of salmonellosis is also a possibility with other pets like rabbits, gerbils, hamsters and turtles. Good handwashing practices after handling the animals and/or cleaning their cages is important. Adult supervision is critical.